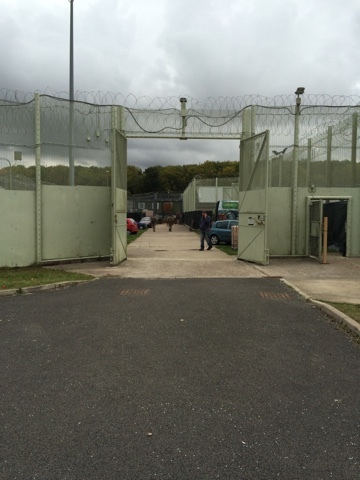 On Saturday 10th of October, The Gaol (former HMP Ashwell) located in the Oakham Enterprise Park on Ashwell road in Oakham hosted the 4th Midlands Airsoft Fair. 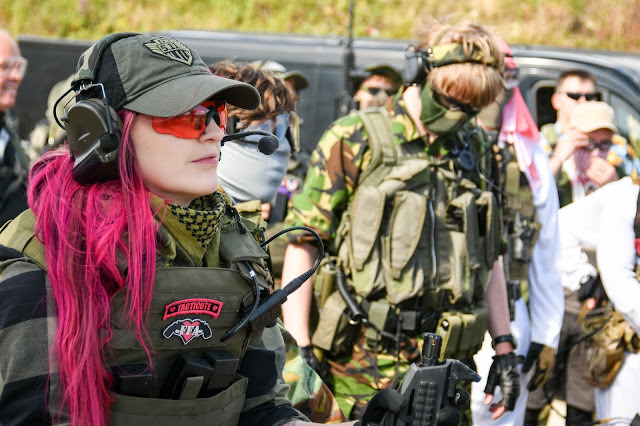 The event originally started as an event called the Airsoft Boot Fair and has quickly gained popularity with the Airsoft community. It's now run twice a year at the Gaol in the heart of Leicestershire. The site itself is impressive, although I haven't managed to play a game there yet - it is definitely on my list! From where I live in the Midlands, the Gaol is roughly an hour and twenty minutes away so it is a fair drive but I was pleasantly surprised with what was on offer at the event. The fair was set in a wing of the former prison with stalls located in the rooms and corridors, the food stand, ASG and the 126 Field Company outside in the courtyard. The site was well equipped with clean portaloos and food/drink to purchase. As I was walking around, it was great to see a mix of retail stores and second hand sellers. My personal favourites on the day were Alpha Tech (a collaboration between Alpha One Airsoft and the Airsoft Machine Shop), the creators of the Alpha Tech 6 Shot Impact Grenade which deploys both .209s and 9mm munitions for Airsoft use and come in a range of colours including pink, red, black and their most popular colour orange! The grenades retail at £85 which is cheaper than any other impact grenade currently on the market. 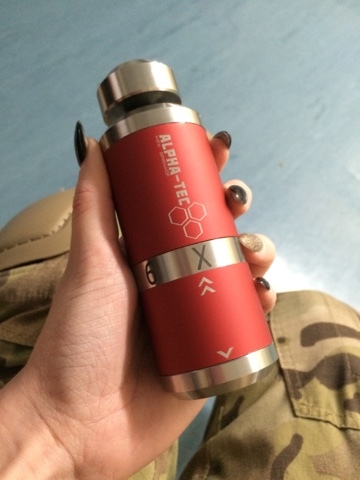 I'm really looking forward to doing a review on one of these beauty's soon! What I liked about it so much was the matte finish, the vibrancy of the colours and as silly as it sounds, the click of the mechanism when you change chamber. Alongside Alpha Tech was Patch Craft, makers of laser cut patches! It was great to look through their work and pick up one for myself. The quality is great and the designs are fab. 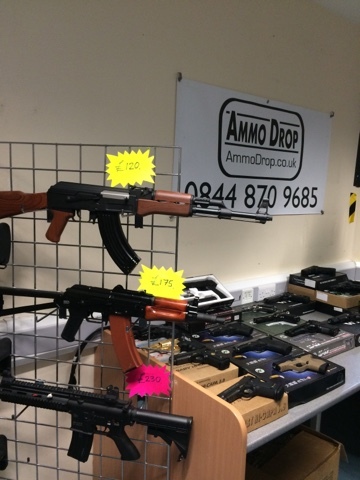 There were many other sellers at the fair including The West Midlands Airsoft Supplies. I got to have a nosey at loads stores products whilst walking around the fair which gave me a few ideas for my next purchases *cough* a pink Oshiboom and a new pistol *cough* I also noticed a tee shirt printers and a lady making paracord bracelets (obviously I got a pink one haha). As I'm saving for something big - which you'll see in a few blog posts time - I only picked up some essentials for my game the next day. Whilst at the fair, you had the option to play a small pistol CQB game in a wing of the prison which was included in the price and from what I'm told and seeing the footage from the day it looks like it was a blast, I didn't get chance to play on the day as I was so busy chatting to sellers and players but that is something I will endeavor to do next time. My favourite part of the day however was getting to meet Paul from ASG who I've had the pleasure to chat too and getting some time in with the CZ/ASG Scorpion Evo3. Now she is an absolute beauty - my favourite feature is the 3 round burst and the kick you get from pulling the trigger. Like a real firearm, she stops firing when the mid cap magazine is empty which is also a great feature as it really makes you think about taking those shots. I'm really impressed with this RIF and look forward to spending some more time with her soon. Another aspect of the fair I really enjoyed was meeting and chatting to so many of my followers. 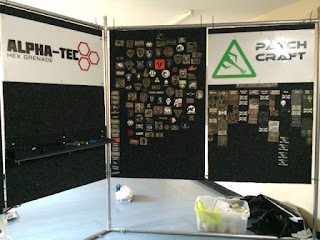 As I'm still fairly new to the Airsoft Industry I am always really humbled by how many of you read my blog and follow me on Instagram. It is always a pleasure to chat with you and talk gear. Over all The Midlands Airsoft Fair is a great day out and great value for money. Rumor has it that it will be even bigger next year which I am really looking forward too! 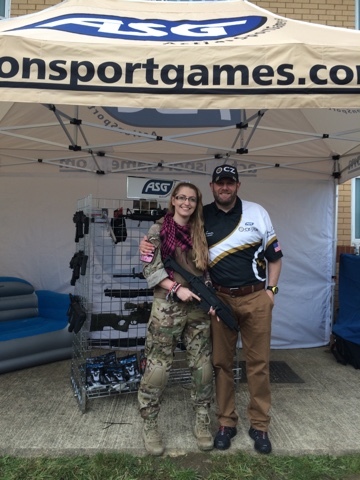 Next time the event is run, I will definitely be playing a pistol game to get the full experience of the day!